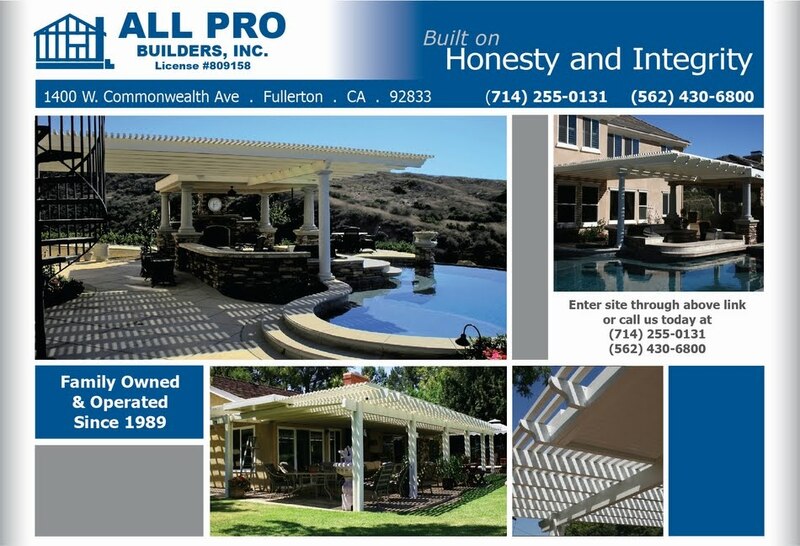 All Pro Builders Inc. is a family-owned, licensed and insured Design-Build Contractor that has worked in Southern California since 1989! We hope you will take the time to explore our site and see how we can help make your home improvement dreams a reality. We are proud of the high quality workmanship we offer and are confident you will like what you see! All Pro Builders was founded by Paul Paniagua in 1989 and over the years has developed a sterling reputation within the remodeling industry. The strength of our family owned & operated company is built on the principles of honesty and integrity. Plus, you can rest easy while your project is being completed, because we are also fully insured with General Liability and Workers’ Compensation insurance and a 3 Year Limited Warranty on all work completed. Furthermore, we are proud to announce that we are Certified Renovators, approved by the EPA to perform Lead Safe Practices. All Pro Builders Inc. will provide a free proposal for any of the services listed—if it’s not listed, just ask us about it. Residential or Commercial—Large or Small—We Do It All!